North is unique in our exploration of correspondences in that it is the direction by which all others have been defined. Energetically it represents the physical body and Earthly realms. Light Workers use this directional energy when working on a person’s auric hygiene, overall nutrition and their capacity to de-stress. As the last stop on the wheel before moving back into East, North becomes a haven where we can stop and access the rest our cycles to date. Here you put down all the noise and chaos and rediscover the Sacred Self. To do so this pause is nothing less than vital. While you regenerate you also heal and have time to integrate bits of wisdom that you’d otherwise miss by being overly-busy. North’s vibrations keep us grounded and offer providence. It is a region where common sense and needs vs. wants and benevolence reign over less noble pursuits. The hunter might stand facing the north, thanking the world for its gift of food. The spiritual novice might go to the north as part of a vision quest for self-realization or part of initiation. Regarding age, North is the adult of the cardinal directions – one that stresses responsibility and persona genuineness. It is the time in life when each of us comes to terms with both our aptitudes and limitations in the face of Divine will. Take a breath and accept. Superstition: There is a superstition that tells us sleeping with our head toward the north attracts negative energy. In India, this belief began with a story of Parvathi. While bathing she placed Ganesa near the Northern facing doorway telling him to be sure no one bothered her. Shiva arrived unexpectedly, and Ganesha stopped him. Not realizing that Ganesha was on duty, Shiva reacted by cutting off his head. Upon realizing what he’d done, he asked his servants to find the first creature with its head facing north. So, it was Ganesha came to have an elephant’s head. It is still a belief that sleeping with your face looking north is bad luck. The Northern quarter of creation stands for the Earth element, which is highly sensual in nature. Earth is the element from whom we learn pacing. In the rich womb of the Mother, all things have their season. You cannot rush it if you want positive results. The Earth symbolizes the Great Goddess – her fertility, nurturing and guidance. Earth and North both firmly challenge our souls to new realizations, while also supplying the soil we need to put down roots. Winter is both a time of darkness and light. The Wheel of Life hinges in Winter with the longest night of the year, followed by the slow return of the light as we move into spring. The growing power of the sun has potent symbolism, particularly when combined with the Earth/North, both of whom wait to awaken once more. It’s interesting to note that Winter Solstice occurs in Capricorn, which is also known as God’s door. As the door swings open, the sun returns to power. Winter is the old man of the seasonal array, often depicted with a sickle surrounded by bare trees. Rituals and spells enacted in the Northern Quarter of a sacred space often have to do with stability, sustenance, safety, and the cycles of life. 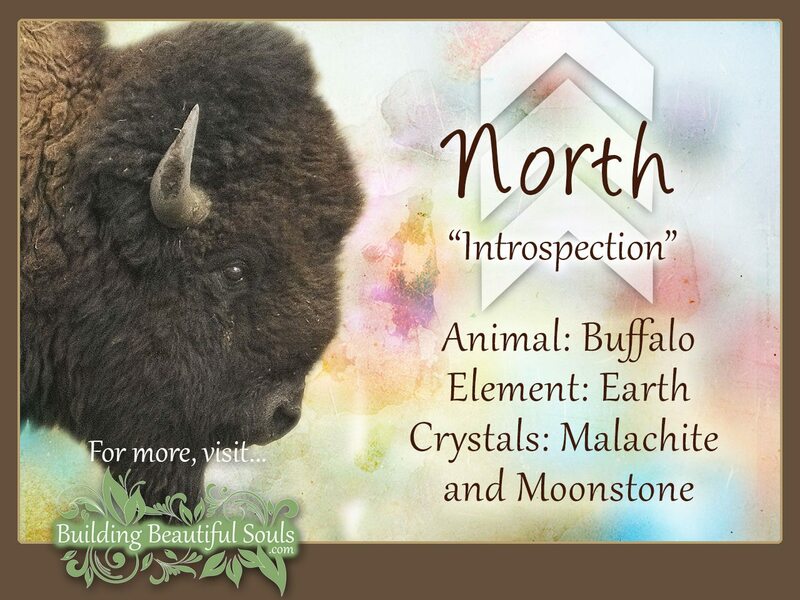 North is feminine in nature, and corresponding colors include black, brown, or white. Tarot The Suit of Pentacles ties to the earth element particularly when it comes to money and other material things. It also stands for your business activities and how they manifest in daily life. 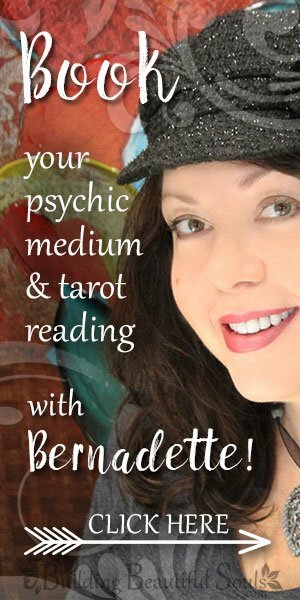 The lesson of the Pentacles is one of self-belief, which is a cornerstone to success. People cannot see in you what you cannot see in yourself. Crystals: Amber, jet, tree agate, birds eye jasper, calcite, and hematite. Dreams: Dreams of moving north may portend a time of aloneness or difficulties. There is a natural struggle between north and south, what we must do concerning responsibility and what we enjoy, and a struggle between cold and warm. The other elements in your dreamscape will supply more information for interpretative. Want to intensify the understanding of dreams? Then check out our complete and comprehensive Dream Dictionary for greater understanding, here on Building Beautiful Souls.com! In Feng Shui, the direction North correlates to your inventiveness, social life, flexibility, and humor. It also symbolizes security, career and all types of fertility. The colors supporting North are blue and black. Unlike other systems, Feng Shui places the Water Element in this region along with metal (colors of gray and white). In general, the direction of North carries wind’s spirit and wisdom. Here, a seeker pauses to consider everything that began in the East to which he or she now returns. Among the Hopi, it is the direction for all plants and animals as well as our physical nature. Its color is white. Like the sage that moves to the mountaintop to discover enlightenment, North is a region of awareness and knowing. It is where we reach outward, inward and upward consecutively for Divine reason to flow. The Bible implies that North is where God lives, and from where he dispenses both judgment and blessing. Mt. Zion is in the North and offerings were prepared facing North. It is the North wind that brings nourishing rain. Buddhist tradition ascribes the direction North with the energy of purity, wisdom, learning and the element of water. Tortoise governs the element as the creature embodies long life, constancy, and joy. Legend tells that the tortoiseshell stands for the Universe and that when this being reaches 1,000 years in age, it will be able to communicate with humans. The Guardian for this region is known as Vaishravana. Known as a benefactor who supplies wealth, He lives on Mt. Meru with the Four Great Kings and the other guardians. Artistic renderings show him with a yellow face and a parasol standing for his dominion. He may also appear as a mongoose, a natural enemy to greedy snakes. In this form, he may discharge jewels by way of generosity. Ultimately, the Cardinal Direction North has rich symbolism associated with it. The meaning of the symbol reflects the cultural lens from which the direction is viewed. From being a point of power to being associated with Earth Mother, Cardinal North is a direction you can align yourself with when you want to tune into your own power and connection with the Earth.